Low cost, luxury, late model German made motorhomes for hire from Whangarei based company. For a minimum of 14 days hire we offer free pick-up and drop-off including Auckland Airport and surrounds. If you'd prefer, we can pick you up and drive you to our place where you can rest up for a night in our B&B the "Coach House", a great way to sleep off the jet-lag! Our vans are top of the range and our prices will make you smile - you'll be able to have a holiday that's twice as long and still be able to afford all those extras that make your holiday one to remember. We have both 2 and 4-berth vans and include almost everything - gas bottles, bedding, fully equipped kitchen, towels, bicycle rack, unlimited mileage, GPS, outside table & chairs, RUC, reversing camera & sensors, awning, satellite TV and more, a modest $1,000 insurance excess, all included in the price. You only need to bring your clothes and food. 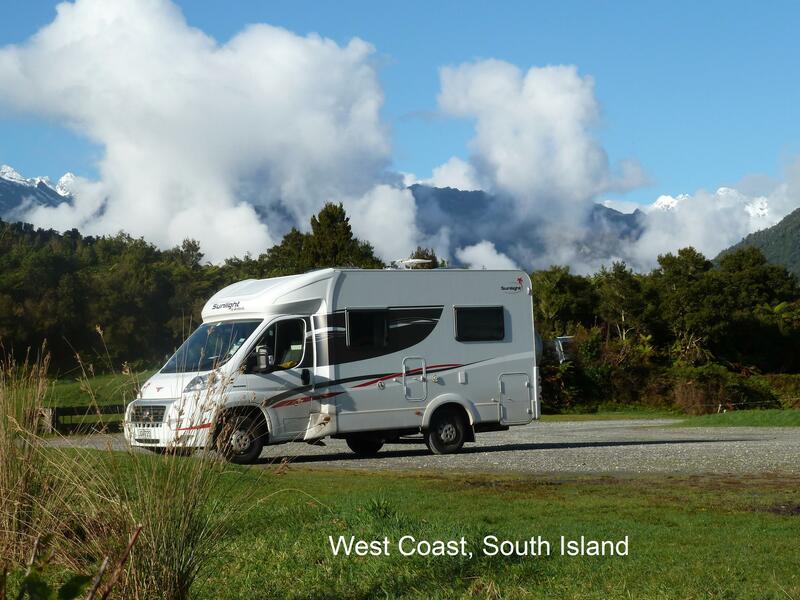 Our vans are easy to drive and very comfortable making touring New Zealand a pleasure. Price range: $150/day for 2-berth, off season, $250/day for 4-berth, peak season.